As we grow older or experience protracted illness, we may need assistance with the responsibilities of day-to-day living. We can help with assistance with personal hygiene, homemakers, companions, laundry, meal planning and preparation, light housekeeping, medication reminders and much more. We offer Skilled Nursing, Physical Therapy, Occupational Therapy, Medical Social Work, Speech Therapy, and Home Health Aides. Our employees are highly trained, bonded, and insured. Reliable Home Health Care is your choice for reliability with same day response to referrals, free home care assessments, and we are available 24/7 for our clients. Trust us to care for you or your loved ones like they were part of our family. 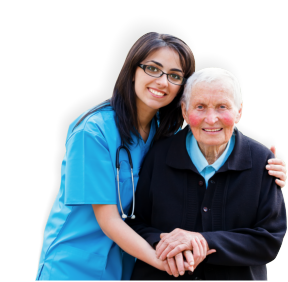 Reliable Home Health Care is compassionate, competent care that you can trust.